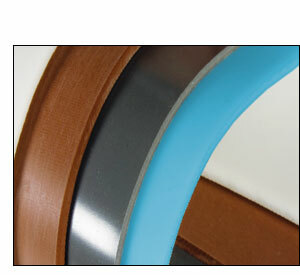 The highest quality Silicone and Natural Rubber Membranes for every Membrane Press (foil and veneer). Due to decades of experience in 3D thermoforming it was obvious for Rapha-System, in addition to the worldwide patented pin-systems and various machines and working aids around the membrane press, to develop high-quality Silicone and Natural Rubber Membranes. For more than 10 years, these membranes have been used successfully in any type of membrane press, from vacuum-only to presses up to 6 bar pressure, all over the world. The combination of high quality raw materials and production under very strict quality guidelines plus packing by hand ensures a consistent quality and constant technical properties. Through optimizing of internal work processes and logistics Rapha-System is able to provide the membranes in any dimension. Using our protection cover the foil will be pre-heated constantly without direct contact to the heating plate. The combination of this two fleece-cloths will be stretched-in under the heating plate to take care of the sensitive foils at pre-heating. To avoid damage of the foils. 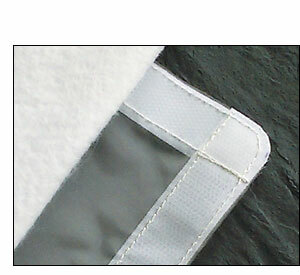 The cover has 2 separate layers, the first layer is a fill fleece to protect the heating plate and compensate for any temperature variations. The second layer is a glide fleece, to protect the foil and to avoid the chance of air being trapped between the foil and the heating plate. The combination of these 2 layers removes any potential risk of damage to the foil during preheating, or any risk of creasing caused by trapped air.